Prepare yourself for a new level of performance with HDS LIVE, which includes built-in Lowrance® CHIRP sonar, support for Active Imaging™, StructureScan® 3D with Active Imaging and revolutionary LiveSight™ Real-Time Sonar. 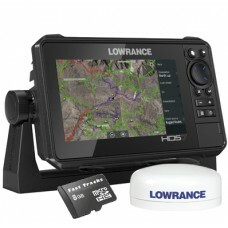 Equipped with the best set of navigation tools ever built into a fishfinder/chartplotter display, HDS LIVE features preloaded C-MAP® US Enhanced Inland and Coastal mapping, automatic routing support and new Genesis Live onscreen mapping offering precision real-time mapping, down to ½-foot contours. 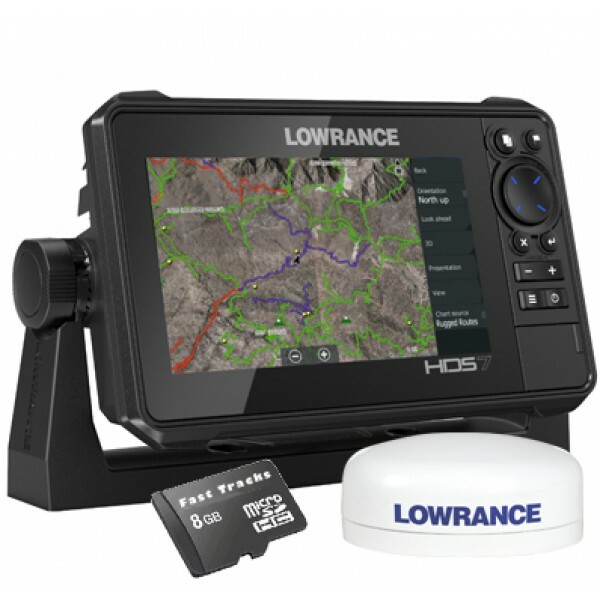 The Lowrance Point-1 Baja GPS antenna is the ideal ruggedized position and heading device for off-road racing and trail navigation. With an update rate of ten times per second (10 Hz) and an integrated electronic compass, the Point-1 Baja, off road GPS antenna provides efficient, accurate location and heading information regardless of the speed of travel. The Lowrance Point-1 Baja GPS Antenna is also designed to handle the rigors of off-road racing and extreme weather and will withstand dust, water, shock and vibration.